…In addition to the water in the toilet itself, there’s the additional water for all of those clever nozzles — you can set the pressure for each of them, but I learned the hard way that it’s best not to be a hero. There is a happy ending. After returning to the U.S. he found a supplier (surely Toto) and bought himself one. One day, I plan to do the same. Don’t ever touch any of those buttons!!! 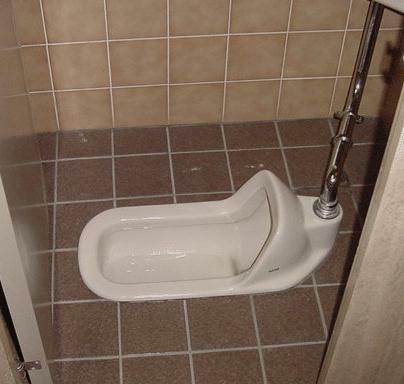 It took a few years, but now I am confident enough with my Japanese to use and want the high-tech Japanese toilet. There’s no place like the bathroom at home, Toto. You have to see it to believe it, folks. Last week at the Asian Festival in Gainesville, Florida, a Taiko group was supposed to follow Thai Elvis—yep, he was a Thai impersonator of Elvis. The only problem was, as the Taiko group started, Elvis played an encore. Don’t get me wrong, I like Elvis. It’s just when you’re expecting cola and you take a swig of milk, something just ain’t right. Usually a machine translation of Japanese is funny. It is funny because you can see how the error erred. But I have no idea how any of this “translation” became what it became. I mean, 帽子 boushi? 1) the very essence of life! Sugoi!! 2) –I could go a day without watching. 3) fun to watch because of the big eyes. 4) better than the Underwater BB Stacking Channel–but only just. So Jack is dying, his daughter returns for a stem cell miracle, and Season Seven comes to a close. I have a feeling Season Eight will spend half of the day cleaning up Season Seven’s mess. This was the first season I actually watched on TV. Every other year, I waited until it was finished, bought the DVD, and crammed 24 hours in a day or two–naturally with lots of popcorn and coke. It would have been a much better season if she ended up being the mole at FBI–if she was connected with a radical anti-human trees-first organization, for example. Well, one can only hope for a little slap action in Season Eight. Go Chloe! Defeat your nemesis!